Christmas is always special – but this year, I started Christmas a bit early and even more special. 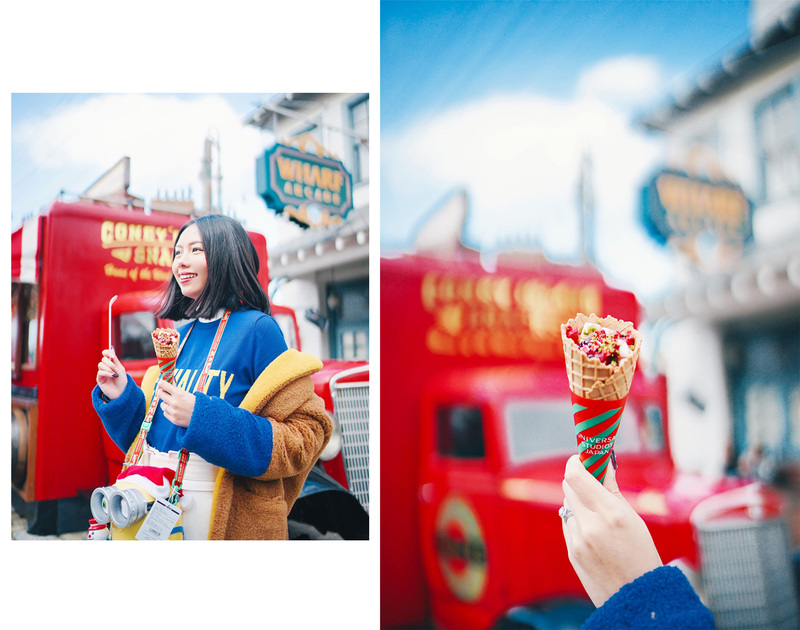 I spent the first Christmas celebration at Universal Studios Japan! 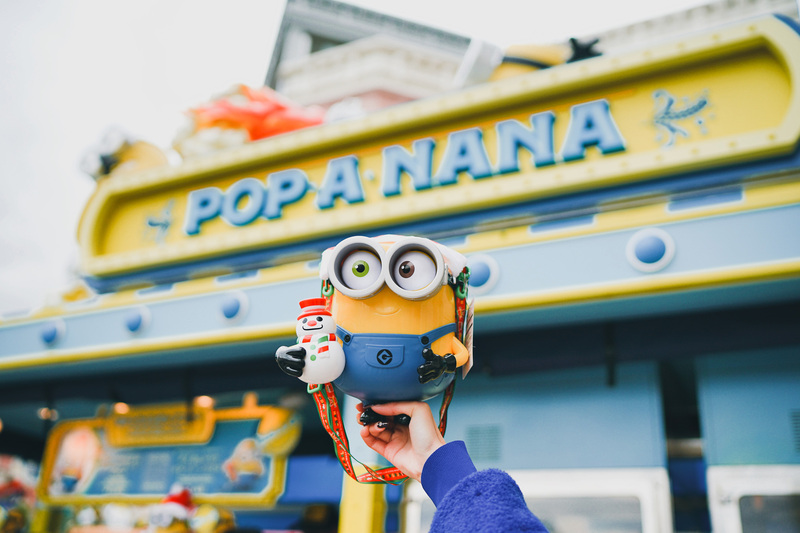 Imagine Christmas with Minions and Harry Potter. 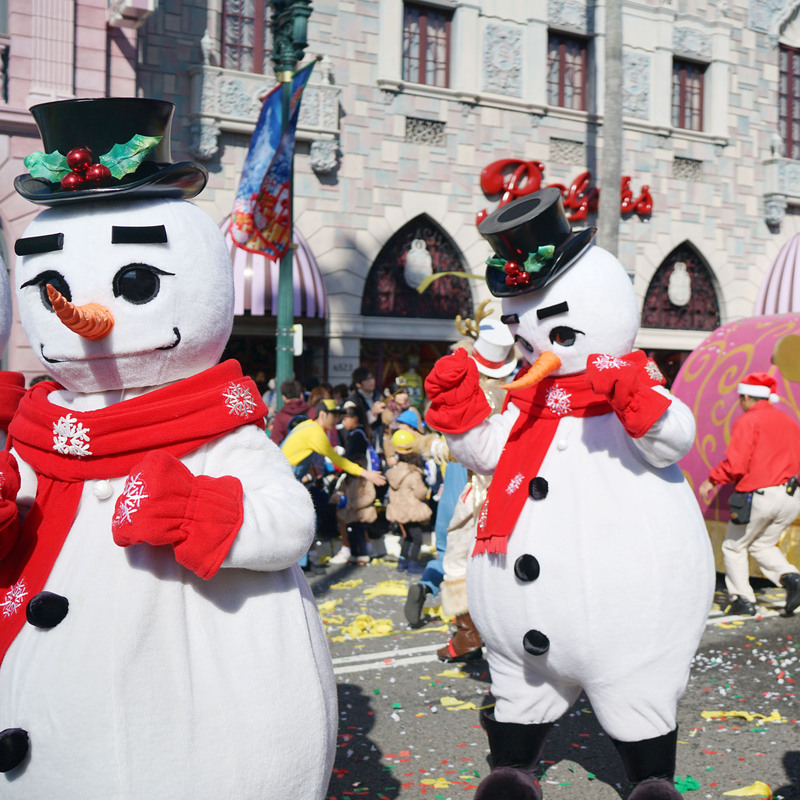 Until January 8, 2018, Universal Studios Japan makes a huge transformation into a winter wonderland, including the whole parade, rides, and also the food and beverages. So the moment I stepped in to Universal Studios Japan, I squealed inside. The decoration and ambiance definitely called out the kid in me, especially when I got to watch the first Christmas parade: Minions Hacha-Mecha Christmas Party. 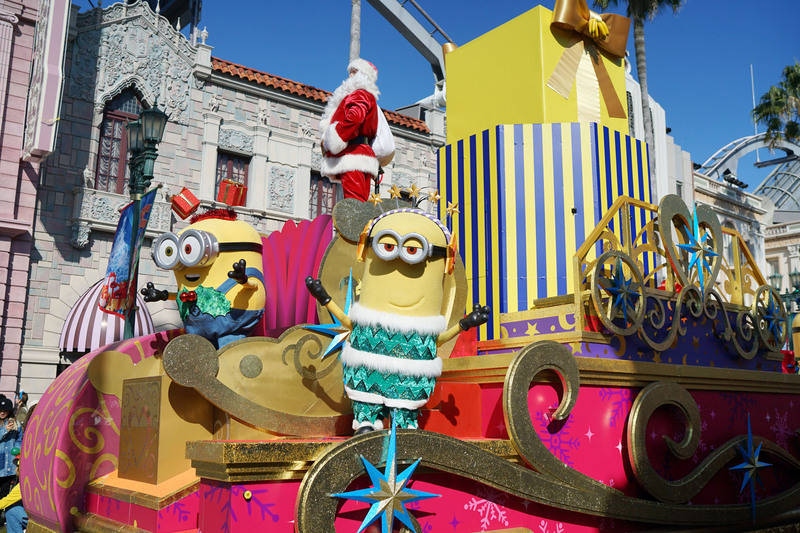 As the name suggested, there were a bunch of cute minions in Christmas costumes dancing around. There were also Santa Claus sang and danced with the crowds. The night time had the best shows. There were The Voice of Angel and The Wizarding World of Harry Potter. They were – hands down – the best parades I have ever watched so far. For the viewing, you can buy special seats at the ticket booth – or else, you can find your own spots. But I bet it’d be super crowded. The people would wait for more than an hour to find the best (free) spots available around the area. 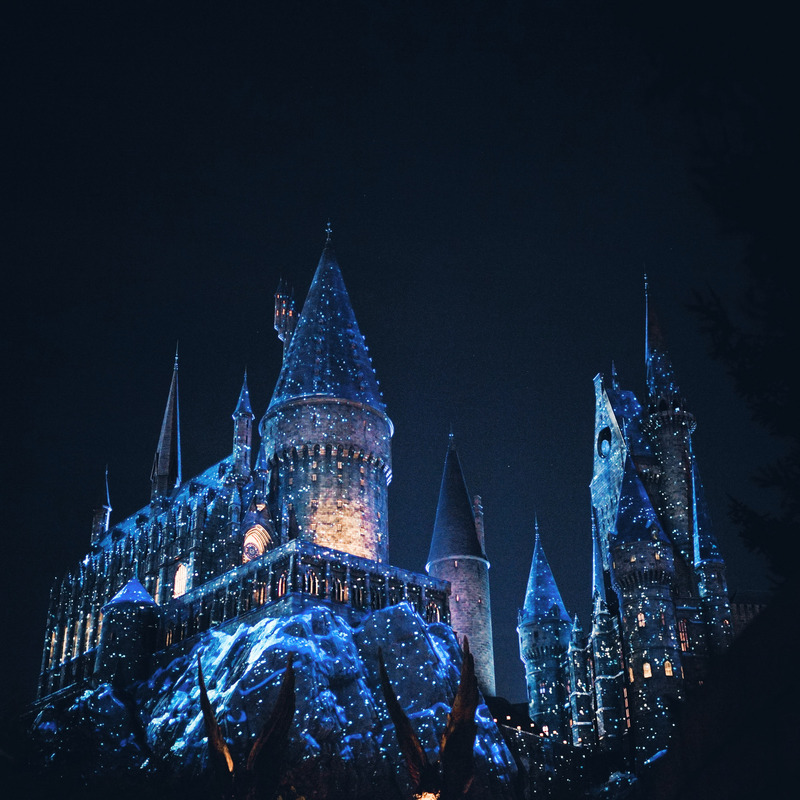 The Wizarding World of Harry Potter is the my favorites! They wrapped it in Christmas decor, in addition with a sprinkle of magic here and there. They sold Harry Potter magic wands that can actually work within the area – so I tried to lit up a candle and move the stars on Christmas tree like a real wizard. There were also thrilling rides available such as The Flying Dinosaur, Despicable Me Minion Mayhem, Harry Potter and the Forbidden Journey, and also Wand Majic. For those of you who love thrilling rides, they are definitely the must-try. 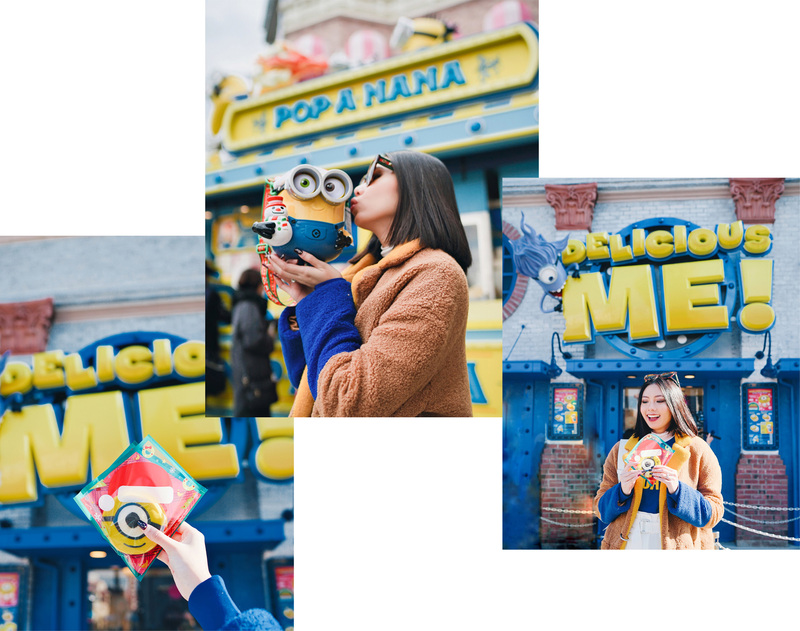 The food is definitely one of the highlights of my trip: Minions’ Cookie Sand, Minion Popcorn Cart, Studio Stars Restaurant, and Christmas Market. 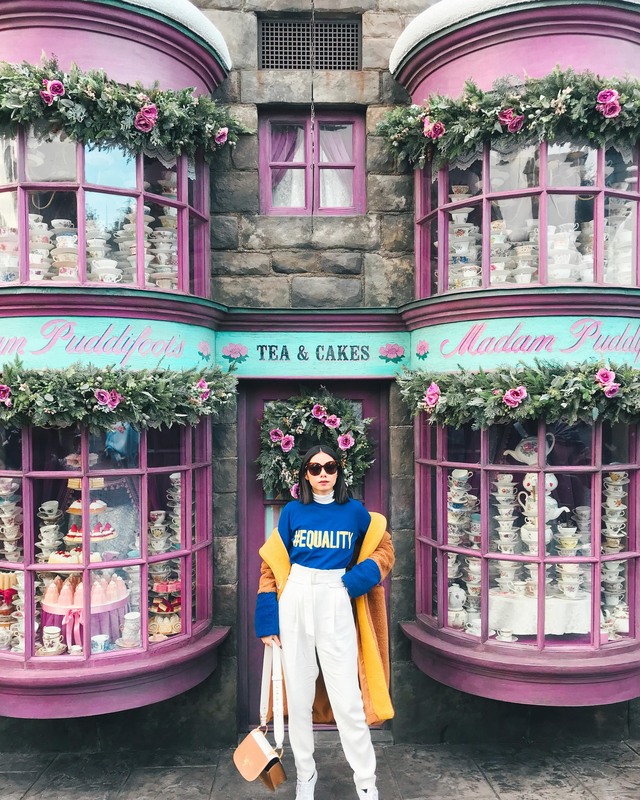 I loved the food there, but if I have to choose, I’d say that the snacks are the best – especially hot butterbeer at Harry Potter World that is only available during Christmas. They are selling Christmas foods at regular restaurants as well. All in all, spending my first Christmas celebration at Universal Studios Japan was one of the best experiences. 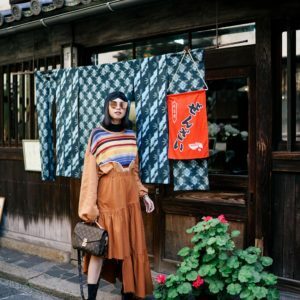 It was super fun for you who are traveling with friends, boyfriend/girlfriend, and also families. 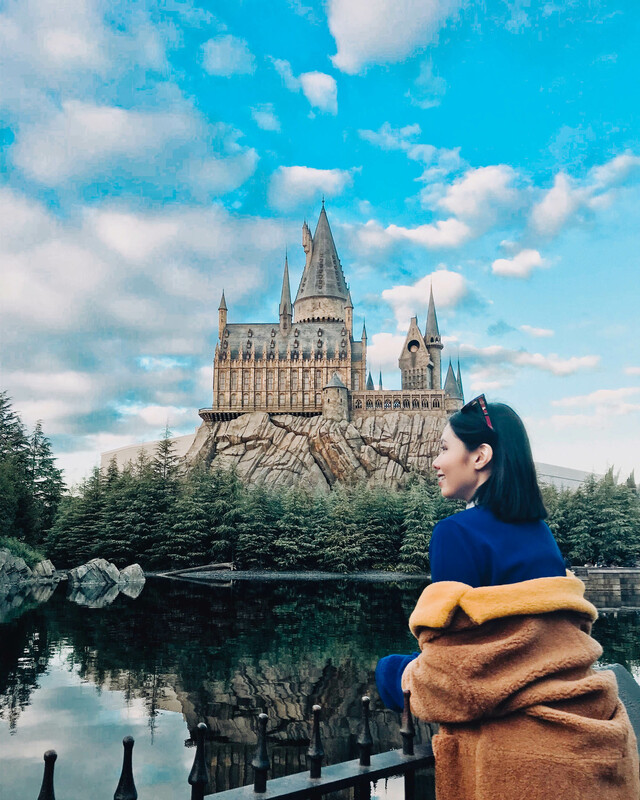 To book Universal Studios Japan ticket, you can find it at KKday at cheaper rate and a lot of convenience.